Ideal for light and medium-duty applications with small size and weight constraints. Features exceptionally quiet operation, single-side servicing, and an enclosed muffler. 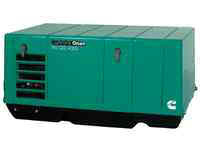 The 3600 LP generator provides compact, exceptionally quiet power for trailers, fifth-wheels and small Class A's and C's. Features include microprocessor control with diagnostics. Runs one air conditioner with power to spare. Microprocessor control with digital voltage regulator. Quieter than National Park Service sound level standards. Full housing with enclosed muffler. Overhead valve engine for efficiency, no decarboning. Over/under frequency and voltage protection. Automotive-type starter with automatic start disconnect. Class C - 1 air conditioner.